I want to race with MotoAmerica, what is my first step? What are the fees to race? Who is the “series partner”? We are reserving that space on your leathers and crew shirts for a series partner, please leave that space empty or available for future announcements. An entrant is the person responsible for the entry and/or team. An entrant may or may not be the rider. An entrant is responsible for completing all paperwork, requesting credentials, payment of entry, and ensuring the team, crew, and guests comply with all rules and regulations. An entrant must be over the age of 18. The rider’s current AMA MotoAmerica competition license is also his or her credential. There is no need to purchase additional credentials for riders. Does MotoAmerica have transponders for rent at the track? No, each individual rider must provide their own transponder. If the transponder number changes at any time during the season, then you must notify the tech department or your times may not be recorded. The transponder must be compatible with MyLaps, and their transponders are available at www.mylaps.com. Who do I talk to about press releases or information changes on the MotoAmerica.com website? For all media related questions you can contact our Communications Manager, Paul Carruthers at pcarruthers@motoamerica.com. How do I receive communication at the race track about the schedule, track condition, riders and motorcycles status information? It is mandatory that each team has a radio or scanner, and it must be inspected at tech prior to the first on-track activity. MotoAmerica uses the radios to relay all race control and other communications during all practice, qualifying, and race times. Radios may be purchased by Tony Cornacchia who can be reached at tony.cornacchia@deirr.com or (770) 897-0051. Where do I purchase race fuel? Fuel will be available at all tracks. Location information will be located in the supplemental regulations and the facility map prior to each round. What are the leather and crew shirt requirements? Leathers must display the MotoAmerica, Dunlop, and series partner logos. If a series partner has not been designated prior to the season, then you may leave the space designated for that logo empty in the event that a sponsor is announced mid-season. Crew shirts are to be worn at all times by all crew members and must have a collar. 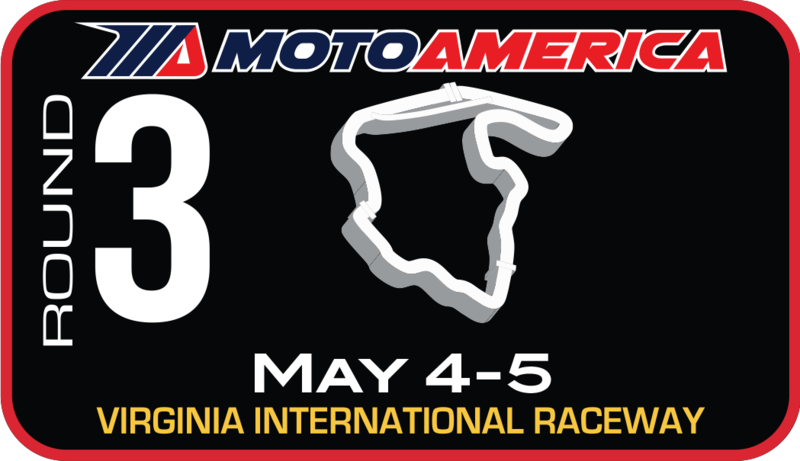 MotoAmerica, Dunlop, and series partner logos are required. Placement of these logos can be viewed on the diagrams in the competitor information page.